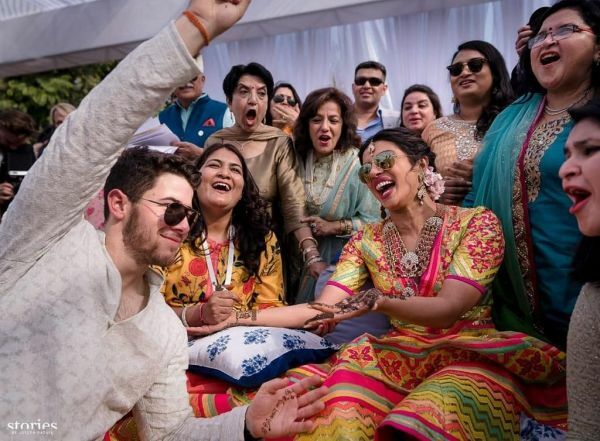 Priyanka-Nick’s Mehendi Pics Are Here & They’re As Rangeen As Their Relationship! 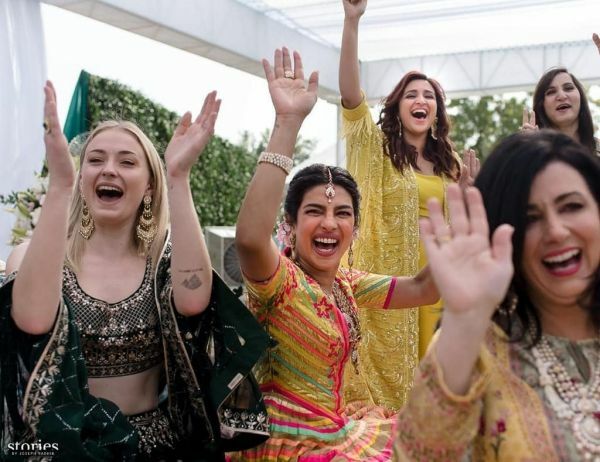 In a world full of pastels, Priyanka Chopra rocked a cheery yellow lehenga on her mehendi and we're loving our desi girl's bridechilla vibes! 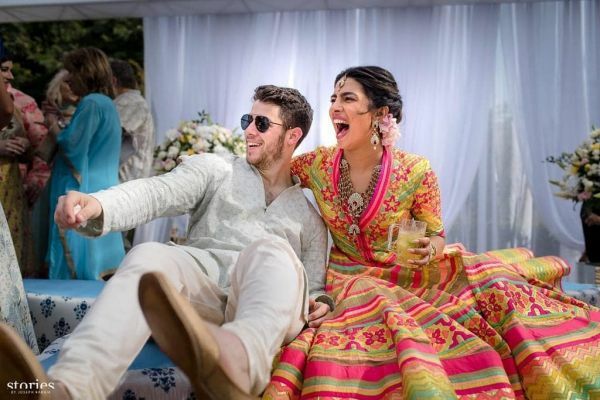 Designed by Abu Jani and Sandeep Khosla, PeeCee looked fabulous in her colourful lehenga accessorised with a statement silver neckpiece and a big smile. 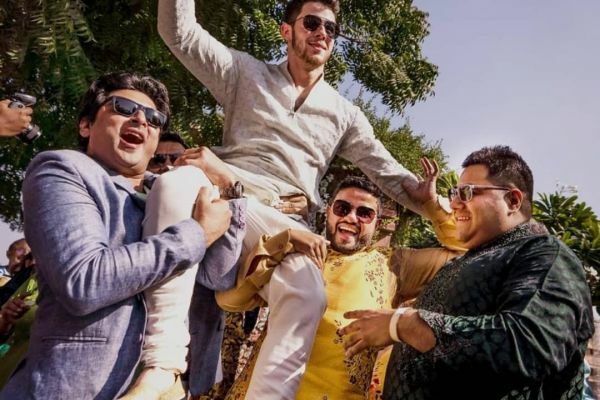 Nick and Priyanka both shared pictures of their mehendi ceremony and the first look is proof that the Nickyanka wedding is the most amazing and chilled out celeb shaadi of 2018. 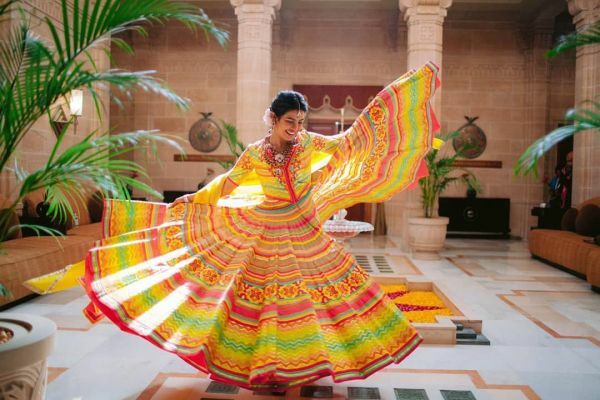 AJSK described Priyanka's look as folksy and the heirloom jewellery too was designed by the duo. 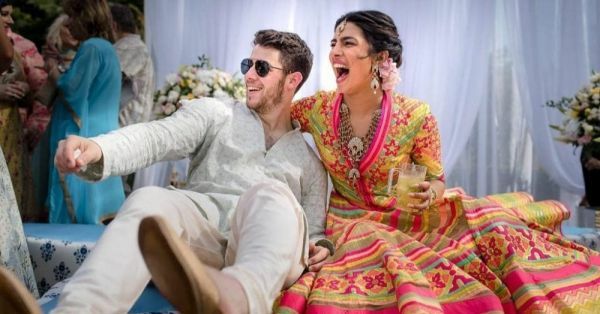 Nick, the desi dulha was wearing an aqua bakhiya kurta by the same designers.